So, I don't camp. I mean until a recent camping excursion to McCall, Idaho I had not been camping since I was a kid...unless one night of car-camping in Yosemite while in my late 20's counts? No, not really. I'm more of a dare I say...hotel snob. I just love hotel rooms and fluffy beds with high thread count sheets, and super cool bathrooms with the awesome take-home swag that certain hotels leave for you each morning - I can't help it. I think it's a genetic flaw (or not). Regardless, I was excited to camp again and give this outdoor activity a whole-hearted try! I'm an outdoor gal, really truly...just never felt that comfortable sleeping in a tent in the great outdoors with the impending doom of a bear attack...but that was before our excursion. Another little issue that's held me back from strapping on a backpack with all my wears, was the fear of wondering what on earth I would eat if I was camping in some remote wilderness, solely left to survive on Lara Bars and trail mix...okay, I digress. Drama aside, our weekend trip to McCall was a lot of fun and a chance to put my silly concerns aside, enjoy my very handsome and capable "camping guide extraordinaire," and a gorgeous spot on the map...and the opportunity to grill up some tasty and simple meals that were perfectly gluten-free under the beauty of the stars, while breathing in that wonderful mountain air. If you've never been to McCall, ID it's worth a trip - just 2 hours outside of Boise and sitting on the gorgeous Payette Lake; it's a wonderful town. There's so much to do - hiking, biking, golf, tennis, boating, swimming...there was even a triathlon taking place the morning we were there. The town is quaint with a new beach/park area for kids and adults. I was impressed, as I hadn't been back in several years and the community improvements were noticable. Sun Valley, ID is my favorite place to spend time...but I have to say that having the Lake to look at and the beach to lounge on, while listening to the waves lapping on shore, was tempting me to spend more time in McCall. Cooking on this stove was a fun challenge and my handsome guide assured me that it would do the trick. We packed coolers and bags of food picked up at the organic Coop in Boise, ensuring that I would be safe and not stranded with only nuts to eat...like the squirrels camping with us. Our dinner menu consisted of fresh corn (grilled, sort of), fresh asparagus cooked with olive oil and sea salt, and some delicious Aidells organic chicken apple sausages grilled over the stove, not the fire. Though not all of their sausages and products are gluten-free, this particular variety is free of gluten and soy. I've always had good luck with this brand...and they are very delicious. We also popped open a nice bottle of an Idaho wine, Ste. Chapelle Soft Red, and did I mention the yummy plate of appetizers we threw together? Even when camping I've learned that a lovely plate of sliced salami, a nice Monterey Jack and some freshly made guacamole go a long way. As I was preparing the plate, while channeling my minimalist self, it dawned on me how refreshing it is sometimes to be completely out of your element and have to make-do, improvise or be creative - in this case, with basic cooking utensils, a propane stove, and some good old plastic plates. A refreshing change and the finished product was quite tasty. And seriously, what camping trip is complete without the historic S'more?! Not ours! 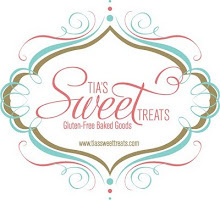 Gluten-free marshmallows, a good old Hershey's chocolate bar and some very creative thinking to replace the traditional graham cracker, taaa daaaa...Enjoy Life, Eat Freely's soft baked snickerdoodle cookies, were the perfect partner to melt that gooey s'more goodness into. I'll spare you the details of the rabid, wild animal that forged through our campsite early the next morning and thundered by the tent with such force that...okay, well perhaps I was exaggerating a tinsey bit but honestly, something wild did gallop by our tent leaving me frozen in fear and praying I would have another shot at roasting marshmallows over the campfire in this lifetime. What a wonderful and rustic treat that truly is (the roasting, not the wild beast) - to sit close to a roaring fire, cuddled and warm with nothing between you and your delicate dance with marshmallow and nature's incinerator. There's a real art to the perfect "roast" no? After a few ignited 'mallows (rookie move), the fire temperature was understood and spears were bravely thrust back into the flames for another attempt at creating that perfect, just toasted, crusted on the outside, smoldering on the inside bite...hungry yet? So it's been one of those crazy weeks with too much going on at work and outside of work - all good stuff, but enough going on to have pulled me away from cooking much or being creative in the kitchen - darn. I did throw together a yummy pasta, turkey, veggie casserole that I've been noshing on most of the week, but other than that it's been greens, some salads and hmmmm, what else? Oh, Lara Bars and yogurt. After this weekend is over, I'm determined to get my good old fridge and pantry stocked again with my favorite gluten-free staples and get to cooking! I have so many dishes I want to create and sample, and as the air outside slowly creeps towards cooler evenings and mornings it's becoming clear that....gulp, fall is right around the corner. This could be the shortest summer ever. I still have visions of dining on tapas on my new patio and throwing a Paella party before the season for patio dining comes to a close. After eating the most amazing Paella at the Jaialdi festival in Boise last month, I'm definitely inspired to cook up my own batch, so stay tuned for that photo essay and recipe. There have been a couple of Celiac news stories that crossed my computer screen this week that I thought were worth sharing - there's so much information "out there" and so much research finally being done on Celiac Disease that we all need to keep the information flowing and sharing with all who will listen. Because I already have the beginning stages of Osteoporosis (due to Celiac) I'm always curious to read more about the connection and what is being learned and done to thwart this serious issue for those of us who were unable to absorb nutrients for so many years. This article titled, "Cause of Osteoporosis in Celiac patients?" and is worth the read, especially if you have it. I Tweeted this article about Celiac Disease and the reproductive connection, during the week given that I've also suffered from Endometriosis, due to my Celiac Disease and I'm always curious to learn more about fertility issues and how I might be effected or not. This article about a man's hospital stay in Canada was particularly startling, especially if you have ever spent any time in a hospital (which I have). It becomes clear very quickly after being admitted that you are at the mercy of hospital staff whom most....and I'm generalizing here but seriously, most...don't have a clue about Celiac Disease and eating in a hospital, as I've always said (as a Celiac)...is like taking your life in your hands. As astonishing as this fact is to write, I can attest that it's true. If you are ever admitted for anything, BE SURE to have a thorough (and if you are incapacitated, a family member or friend can fill in) conversation with nurses, doctors, staff about the specifics of exactly what you can and cannot eat, and I mean down to the gnat's eye lash. I'm not trying to sound paranoid...but I am. It's your life. And finally, just a good article I found in the Calgary Herald that gives some basic facts about choosing to eat a gluten-free diet. Basic reminders are always a good thing. As I venture off into the weekend I'm banking on coming back restored and full of cooking ideas that I'm certain to share. Stay informed and healthy...and enjoy the day! I love pasta. I always have, but I love it even more now because of all the varieties of actual gluten-free pastas on the market. Thinking back to ten years ago I recall there was uhhh...nothing. I didn't eat pasta for several years after my diagnosis of Celiac Disease because, well...there weren't any on the market. Those were the early days when brown riced ruled my world and I would create an impressive variety of dishes solely encompassing boiled brown rice, veggies, hard boiled eggs and maybe some cheese. Good times. I also remember back to just seven or eight years ago being on vacation in Rio de Janiero, Brazil. Walking through some of the grocery stores in Impanema, I was in awe of allllll the gluten-free products on the shelves - and not only where they on the shelves, they were clearly marked with a gluten-free logo denoting that even someone who wasn't fluent in Portuguese could figure out. So, on both of my trips to Brazil I loaded up on crackers, pasta and other products that could not be found in the States at that time and brought them home with me. But what was the most eye-opening and astounding part of those fond memories was the fact that I discovered these products in a country (at that time) that was still considered a developing nation, even though it is South America's most influential country, an economic giant and one of the world's biggest democracies. 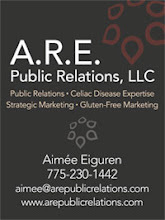 I would love to visit again and peruse the local grocery aisles to see what kind of products are available now and how the restaurants and vendors' awareness of Celiac Disease have been elevated. Another favorite stop on my map for gluten-free pastas and products has always been Italy - however, now we (as in the U.S.) carry more gluten-free products than I've recently found in Europe, so it's a real momentum swing in our favor, especially in the last five years. You can still find terrific GF products overseas and hands-down, certain western European countries have a greater understanding and awareness of preparing foods properly, but product for product, the U.S. seems to be on a roll. In my product research and collection of favorite food sites, I really enjoy Market Hall Foods of Oakland, and their effort to stock some authentic, Italian GF pastas which I have ordered and cooked with. Their GF pasta brand is Rustichella d'Abruzzo, who recently introduced their gluten-free pasta line. 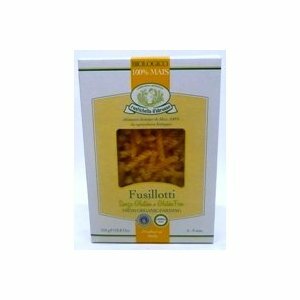 These artisanal pastas are made from freshly-milled, non-GMO Italian corn and rice and are 100% gluten-free. I found them to be quite tasty and held their form well, but honestly, my favorite GF pastas which are more affordable and easier to find, are Tinkyada rice pastas. The photo and recipe in this post includes Tinkyada's brown rice penne pasta. I'm just a big fan of how well the pasta holds its shape and texture...and flavor. And when you eat the leftovers the next day, their pasta is still fresh and never soggy. You can find this brand at Whole Foods and some mainstream grocery stores now, as well. The Gluten-free Mall also offers a large selection of GF pastas that you order on line and have delivered to your front door. Another company that's been leading the way for gluten-free products in Europe for decades is now in the States, Schar. I first bought some of their products in Italy, as they have been the premier GF supplier there for years. The company has a very interesting history and in 2007 they opened their first U.S. headquarters in Lyndhurst, New Jersey. Schar USA now provides high quality gluten free products to many of the U.S. major chains. If you've ever ordered an gluten-free meal on an international flight, you were eating some of their products...with that said, you might be inclined to give Schar another try, post-flight. In my opinion there's really just no delicious way to eat on a airplane unless you pack the food yourself...or sit in first-class! Schar also offers an on-line store that sells quite a variety of their own pasta brands. 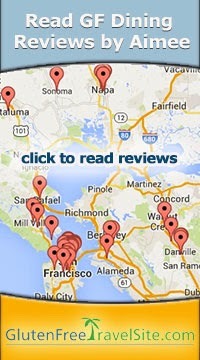 I have not personally tried their pasta, but they are on my list to check out and review. There are two other online companies worth mentioning, one who also sells homemade gluten-free pastas, DePuma's Gluten Free Pasta in Connecticut and will ship to your door. As well as, Olive Nation, out of Italy via the States. I was so excited to find they carry my favorite corn pasta that I have only been able to find in Rome, Le Veneziane Corn Pasta. Needless to say, I'll be stocking up. With so many delicious, authentic choices available to us now...life just got a bit sweeter, non? Saute chopped onions and shallot in pan with olive oil. When they are translucent, add zucchini slices and saute until they are al dente, then add baby tomatoes and sliced sausage and simmer together on low heat for 5-8 minutes. On another burner, time out the cooking of your pasta so it's ready when your saute is cooked. With most GF pastas, they require between 12-15 minutes at a boil. Once the pasta is cooked, drain and add a tsp. of olive oil and stir. Then add your vegetable saute and mix together. Salt and pepper to taste. Top each bowl with a handful of fresh cheese and basil leaves, along with a drizzle of fig balsamic.